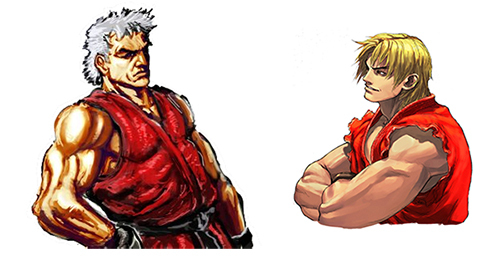 Hitari: What would street fighter characters look like now? 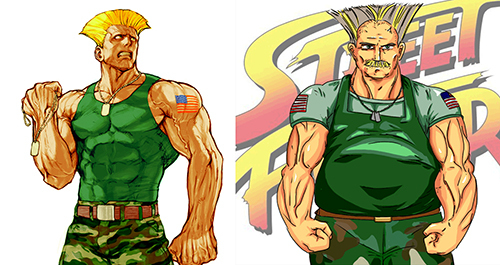 What would street fighter characters look like now? 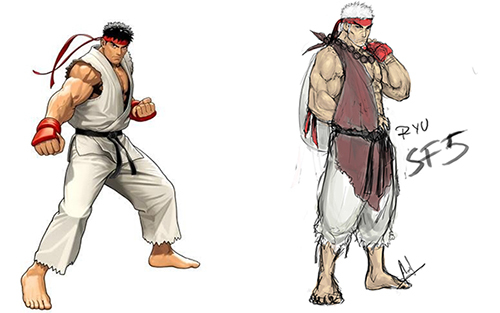 If we follow the linage of the original 1987 Street Fighter game, Ryu would actually be 49 now and he doesn't seem the type to die his hair if it went a little grey. Okay, there is no way the egomaniac, pretty boy that is Ken Masters would let his hair go this grey without a fight (unless he saw some potential in the distinguished grey look). But this image by Pokeypixel does kind of force us to accept the reality ... even our Street Fighter heros have to get old. Chun Li always reminded me of Hong Kong super star Moon Lee (and they are around the same age), when you see Lee now you come to the realisation that East Asian women generally seem to age very well, so I really doubt Chun Li would look much different at 45. I'm not sure why the gaming world seems to think Guile would have some kind of mental break down (possibly loosing Charlie eventually breaks him down?). 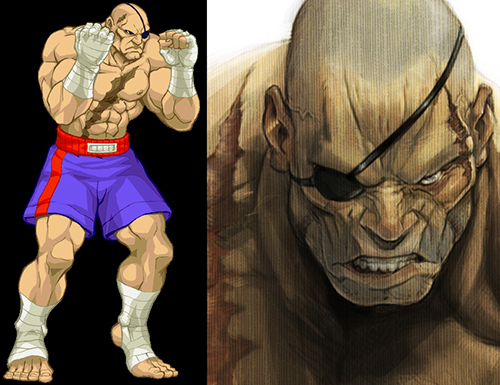 Sagat looked old even when he was meant to be young and from what we've learned from Woody Allen, someone that looks older throughout their youth, usually ends up looking okay in their later years. However, that may only apply to those who do not get their faces hit for a living. I'm not sure if Lord Bison (Vega if you're Japanese) actually ages any more, but if he did I'm sure at 58 he would be feeling it a tad. would this work with Mortal Kombat you think? 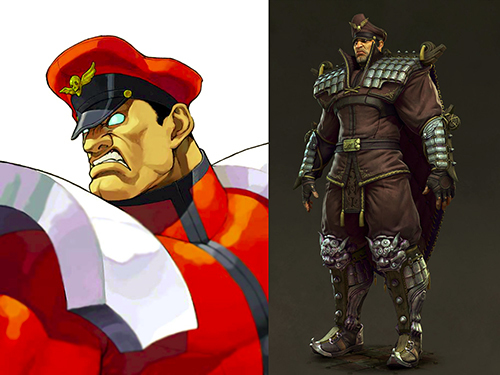 M Bison is going to look the same. He is just going to transfer his soul to a new body once his current body grows old and weak.